Heat oven to 375°F. In medium bowl, stir cookie mix, butter and egg until soft dough forms. On ungreased cookie sheets, drop dough by rounded tablespoonfuls 2 inches apart. Frost and decorate 1 cookie at a time. 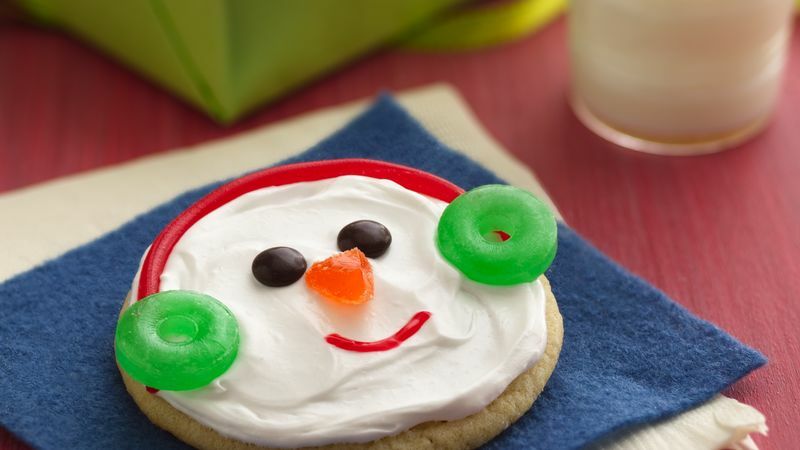 After spreading frosting on cookie, add licorice for band of earmuffs and candies for ear "covers" and snowman face. Holiday party? Bake the cookies ahead and let party goers do the decorating.